Those of us that live in city are well aware of the ubiquitous sidewalk canopies that keep the public safe during construction. Their function is respected; their eyesore is not. Typically just constructed of miscellaneous pipe scaffold and mismatched plywood sheets, these sheds do not enhance the urban aesthetic. Could there be a better way? 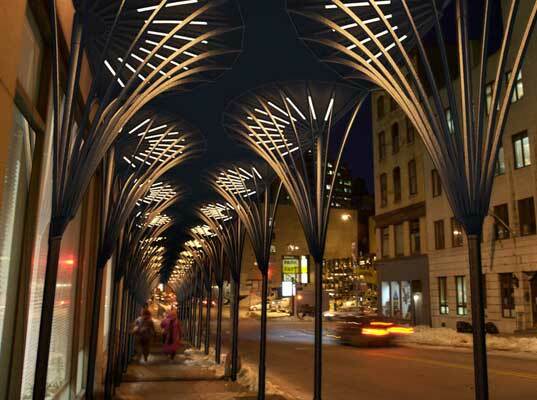 New York City recently conducted an international design contest to re-think sidewalk sheds. Even Mayor Bloomberg got involved by personally announcing the winner. The rules were tough. Entrants had to make sure that their design was structurally sound. The sidewalk sheds would still need to meet their primary obligations to protect the public from debris and serve as staging platforms for construction work. 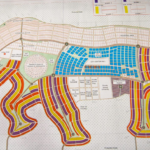 The winning design would have to be deployable at an actual city building in lower Manhattan. 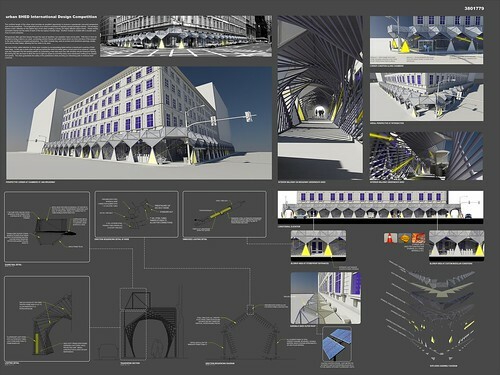 Young-Hwan Choi’s “Urban Umbrella” design won the contest. His design melded form with function to hide less of the building frontage while providing more space to walk. Early estimates contend that the new design will cost roughly the same as the current design but will have lower maintenance and installation costs over time. The design is certainly intriguing, but I’m not completely sold. The slender posts just don’t look to be stiff enough to meet the heavy loading requirements. I also doubt that fabrication of the upper “fan” will truly be economically competitive with the super-cheap pipe-scaffold currently employed. My vote would have gone to another design submitted by some of my colleagues (in our New York office). The spent considerable time ensuring that the design was sufficiently robust. I also like the artistic element provided by the interior spiraling slats within. Decide for yourself. Which design to you prefer?